Tourism Radio Travel Guides is a world leader in providing location based travel information across mobile, web and GPS platforms. We opened our doors in 2005 and have offices in New Zealand, Germany, Spain and South Africa. Starting with our own in-car GPS Tour guide our product suite has grown to include Web based solutions and Mobile Travel applications. Tourism Radio Travel Guides uses Global Positioning System (GPS) technology to provide quality location-based travel information on the go. 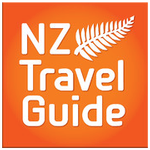 This is through the use of a specially designed GPS Tour Guide device, and branded Travel Guide Apps for smart devices. Information about local culture, history, must-see places and attractions, as well as general curiosities and anecdotes, giving the user a tailor made programme as they travel. Point-of-interest information is played when the user is in close proximity to them, providing on-the-go suggestions about what to see and do.